I have mixed opinions on the volume of movies that I watched in 2014. About half way through the year, I set a goal to watch at least 100 new movies before the end of December. Film is my passion and there are many wonderful films out there that I have not seen, so I should make time for those movies. By the end of the year, I had watched about 85 new films, most of them in theaters. Luckily, I’ve made the same goal for 2015 and by the end of January, I had already seen 20 new films. Off to a good start. While I am proud that I watched nearly every new movie in 2014 that I wanted to (I still need to see “Inherent Vice” and “The Theory Of Everything” to complete my list), I still wish that I had seen more. I don’t think that I watched as many new films in 2014 as I did in 2013, especially films that were already released, but I certainly made up for it with the quantity of my blog posts. In fact, every film that I watched in 2014 had at least a bit of writing about my opinion on it. As such, it makes writing a top ten list of the films I watched this past year a bit difficult. There would be a lot of repetition and opinions that were better expressed in my earlier reviews. So, I’ll be trying something a bit different for this wrap-up of 2014. For each film in this list, I’ll be linking you to my extended reviews, and give a short write-up in this post. 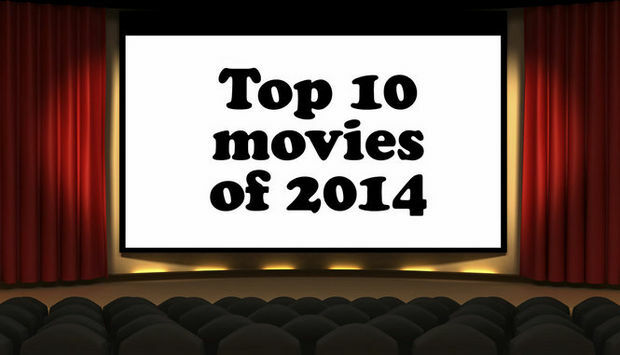 With that said, let’s take a look at the ten best films that I watched in 2014. 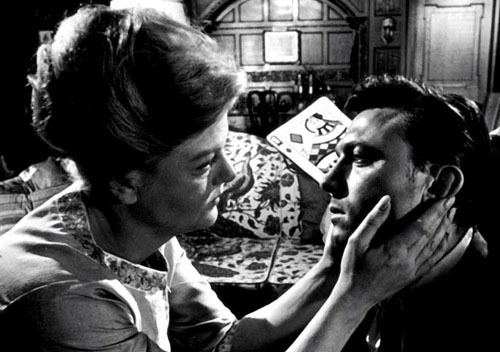 These can be anything, from new theater releases to classics that I caught on TCM or Netflix. As long as I watched it for the first time in 2014, it qualifies. 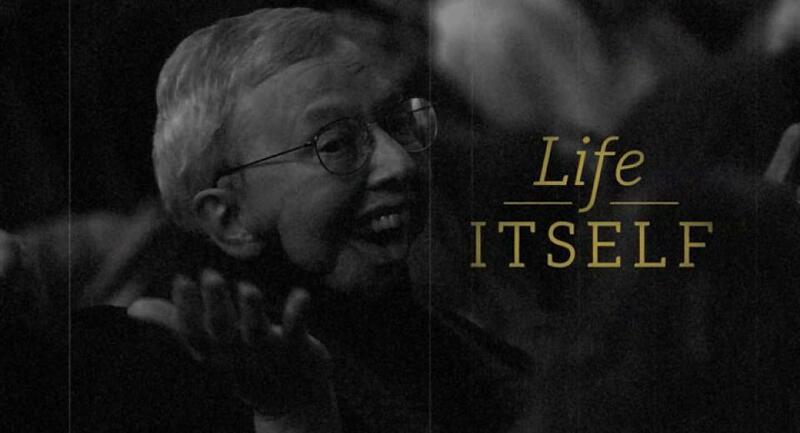 This one feels tailor-made for me and any other current film critics – The tale of passion and cinema, through the eyes of the most personal critic, Roger Ebert. While I don’t normally enjoy documentaries, this one was special because I felt like there was so much to learn about one of my biggest idols, even if I thought I already knew everything. We got to meet the man, instead of the critic. And that is what made Roger so special – that he just wasn’t some guy who used his opinion as a platform, but as a way to connect with people and make them care about the movies they watch. I was going to put “Boyhood” in this spot, but I watched that one in the beginning of 2015, so it does not count. With that said, this is a classic coming-of-age story, told from the future by a man reflecting on his childhood and what he remembers and cherishes. Though the core characters do not change over the course of the film, the journey of being twelve and free is more than enough, especially when you’re on your way to find a dead body. Combine this with the narration, and we see that these kids did learn, just not right away. This is a grand adventure with suspense and danger around every corner, but without ever going over the top. This one makes the list for stating the difference between man and robot, or in this case the similarities. A sentient creature with a soul is merely a collection of thoughts and experiences, and we become an individual by how we react and learn from those experiences. 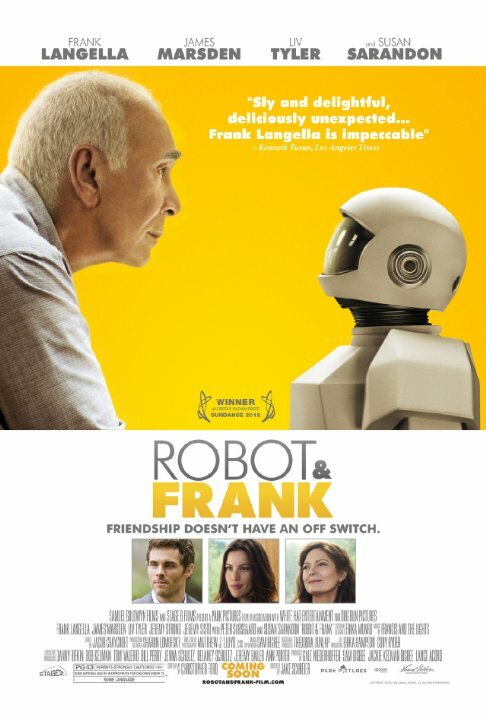 Well that, and “Robot & Frank” has a plausible outlook on the future, where libraries no longer exist, robots serve retired and old people and there are people who refuse to live in this new world of technology and the lack of human interaction. A great modern science-fiction film that plays to both the heart and the mind. I think I have come to terms with the fact that my favorite genre of film is now animation, especially after having four animated films in my top ten list last year. Luckily, this year only has two. This is the most down to earth Hayao Miyazaki’s animated works, but it still manages to be visually stunning, full of wonder, imagination and creativity. 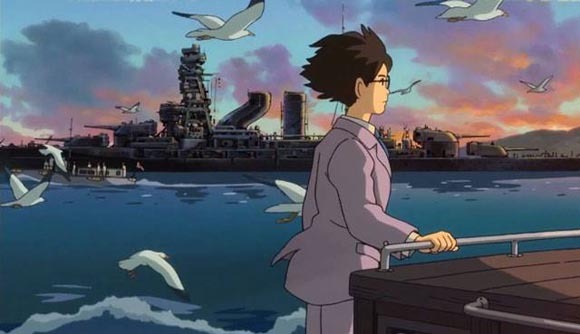 It is fitting that the last movie Miyazaki would work on would be about a man who wanted nothing more than to soar in the sky and be remembered for his contributions to the world. I despise politics, but this is an unbelievably poignant political thriller. What I love about this film, other than the intrigue, atmosphere and suspense, is that the film does not pick a political side and chooses to ridicule them all. Democracy, Communism, McCarthyism, Marxism, all political parties are terrible and just want one thing – power. They will achieve that goal by whatever means necessary, such as corrupting the minds of good people. Fame is fleeting, but that does not stop some people from recapturing it. Or at least trying to. 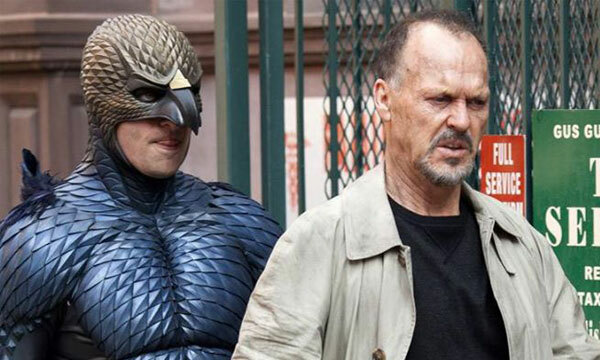 There is so much to love about “Birdman.” The story of an actor displaying himself in front of the world for everyone to see, the ingenious writing and dialogue to always feel fresh and crisp, the cinematography that makes it feel like a stage play while still having that filmic touch, and the pitch-perfect acting, especially from Michael Keaton and Edward Norton. What more can I say? “Birdman” is superb. Aside from the film that comes in at number one on this list, “Judgment At Nuremberg” was the smartest and most oddly convincing film I saw this year. I did not have much time to discuss this one, but here is the basics – It is the trail of several Nazis for this crimes against humanity, set in a torn and ravaged Germany following WWII. You’d think that would be an open-and-shut case. But the movie is wonderful at making a point of why the Nazis did what they did, how America is hardly different from the Nazis and showing us that the Nazis are people just like everyone else. They had their reasons and did it to survive in a world that was rapidly leaving them behind. 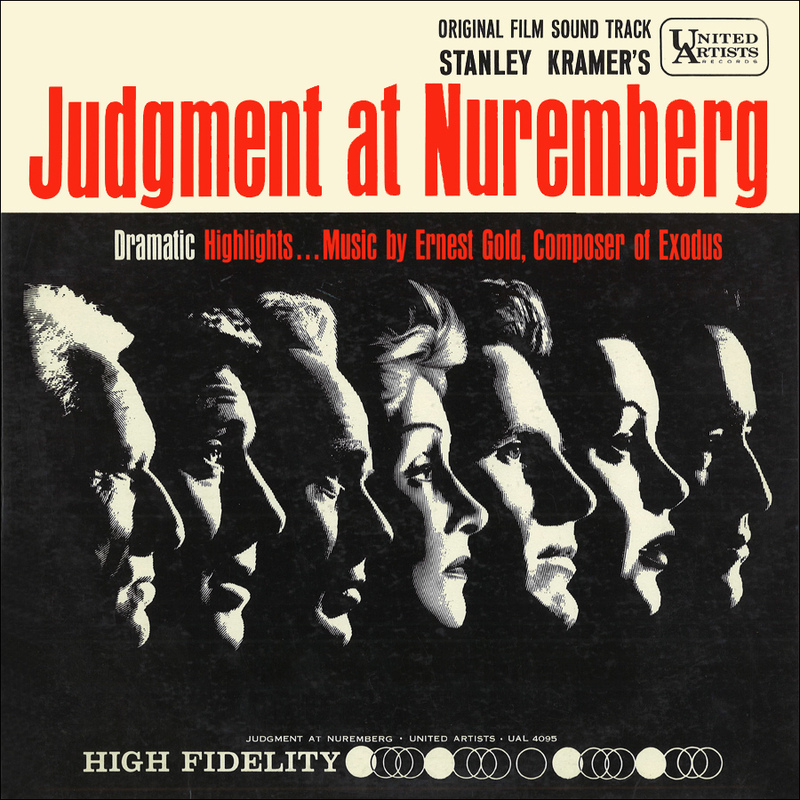 To be able to take such an evil and despicable creation like the Nazis and make them all too relatable, “Judgment At Nuremberg” gets my respect and admiration. A creepy and other-worldly look at a man who wants nothing more than to make it big in the world. This is not someone who wants money, but respect and admiration. In his eyes, that is quite difficult to obtain in this world without hard work, determination and a willingness to let other people take the shots for you. Combine this with Jake Gyllenhaal’s captivating yet off-putting performance, and you get a relevant thriller that does not fail to please. 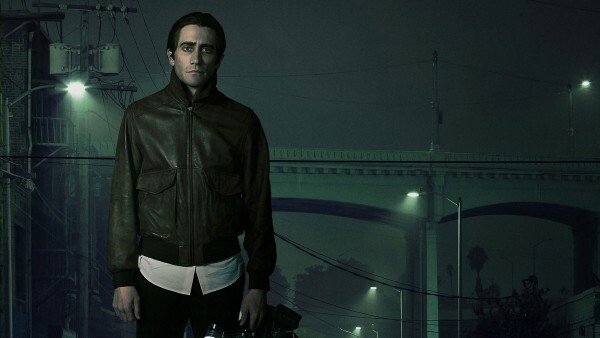 “Nightcrawler” along with “Gone Girl,” worked at showing the brutal reality of the media who is more focused on getting good ratings and viewers than letting the world know what is happening, making the film relevant and topical. Like “Amadeus” last year, “Giant” is the only film that I gave an A+ to in 2014. It is difficult to discuss what makes “Giant” one of the greatest epics in such a short space, but here it goes. The film does not try anything complicated, and tells a story that anyone can relate and understand – Falling in love, raising a family and watching them grow. But along the way, we learn of the personal sacrifices that must be made, but ultimately realizing that you cannot live your child’s life for them. It is also a tale of man against woman, old views versus modern ones, and need to treat everyone as a person, instead of by the color of their skin or their gender. The need to let go of those old world views if you want the world to change. The challenge comes from people who don’t want the world to change, because they don’t see anything wrong with it. “Giant” might be well over three hours, but it moves at a brisk pace and never overstays its welcome. 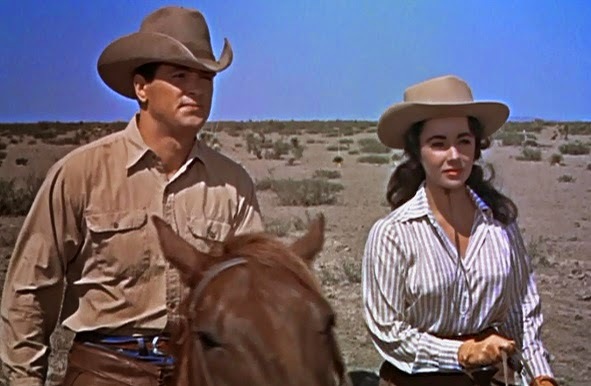 Tight writing, wonderful performances by Rock Hudson, Elizabeth Taylor and James Dean and a story that will never age. A timeless classic with themes of pride, family, love and sacrifice. What more could you need? 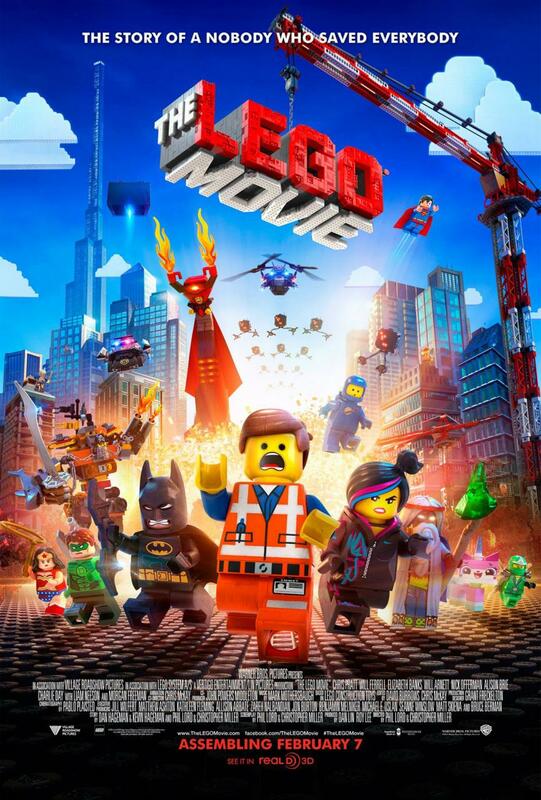 Was 2014 A Good Year For Film? 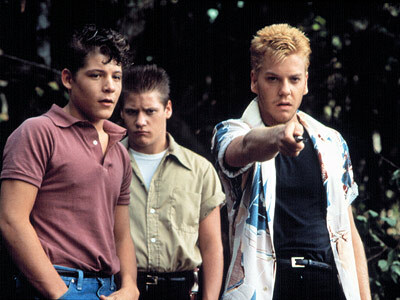 Great choices, Stand By Me is one of my favourite movies.